Confession, I have been visiting my gardens several times a week. The signs of spring are here, some are subtle, but they are here. Spring is here. Bettman is primarily perennials, trees, shrubs and grasses. Because of the size of the gardens, I find it more efficient and cost effective to invest in these plants and let them mature over the years than replant large areas with annuals year after year. However, because there is a desire for constant color and the immediate gratification that only comes from annuals, I do add them in the beds, tucking them in where space is still permitted by the yet to mature perennials and grasses. Before I get too deep in the gardens, I follow a few rules. First I ensure the soil isn’t too wet. The last thing I want to do is trample the soil I have amended the last few years, crush plants just getting ready to emerge and drag mud all around the hard surfaces. I check my mulch base. If the pine fines are still in good condition I know I don’t need to add more. Over mulching a garden can do a lot of harm. 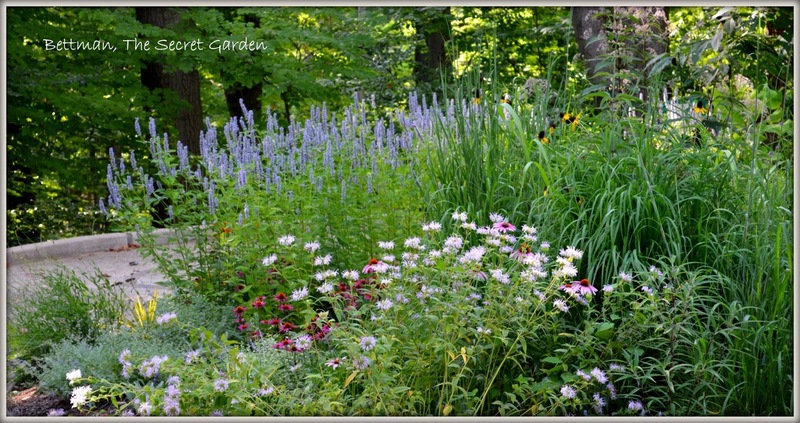 I will work in new areas of the prairie where I want to edit a lot of plants and add new shrubs, grasses and perennials. If it’s safe to walk in the beds I will trim any branches or stems of the trees and shrubs that may have sustained winter damage, remove heavy globs (that’s the technical term) of leaves that may smother plants. I will cut back any grasses and perennials that remained standing over the winter so not to have to cut and prune around new growth. I spend a lot of time studying the plans I made from the comfort of my den. Now is the time to finalize my designs and check my plant shopping list once more.